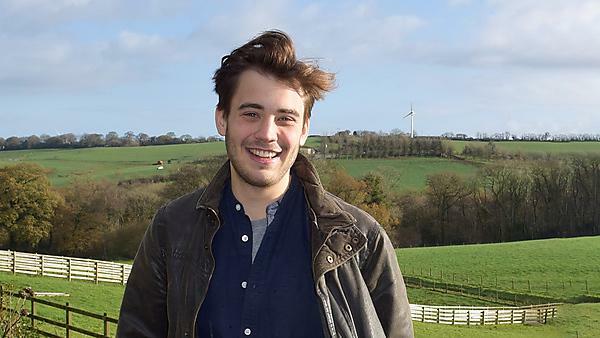 Harry formed a deep interest in soil on his placement year – now, his research is affecting reports that inform environmental policy. "I chose Plymouth because of the people. The lecturers were approachable and personable. I wanted the chance to experience hands-on environmental science, and the course promised that through a variety of field trips and industry connections – I wasn’t disappointed. As it turns out it was both the staff and my placement year that helped to secure my PhD. "When choosing a degree, I really recommend you visit to get a feel for the place; it’s something that a website can’t portray properly. 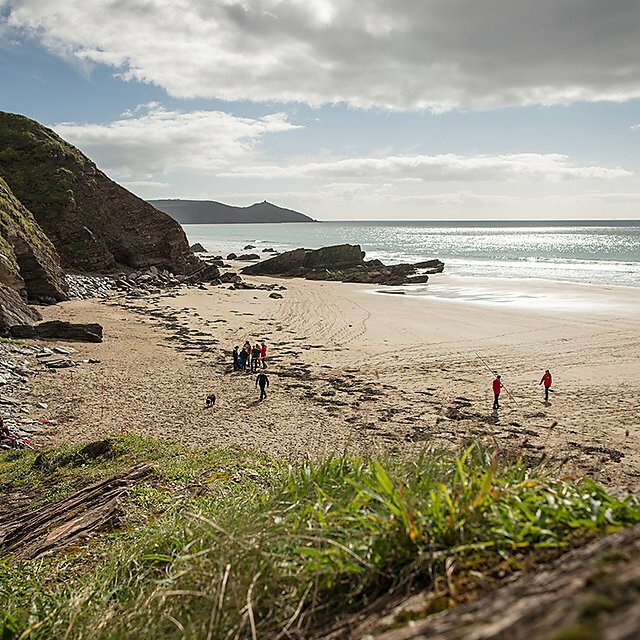 "I would recommend studying environmental science at Plymouth because of the contact hours, the approachable lecturers and the location." 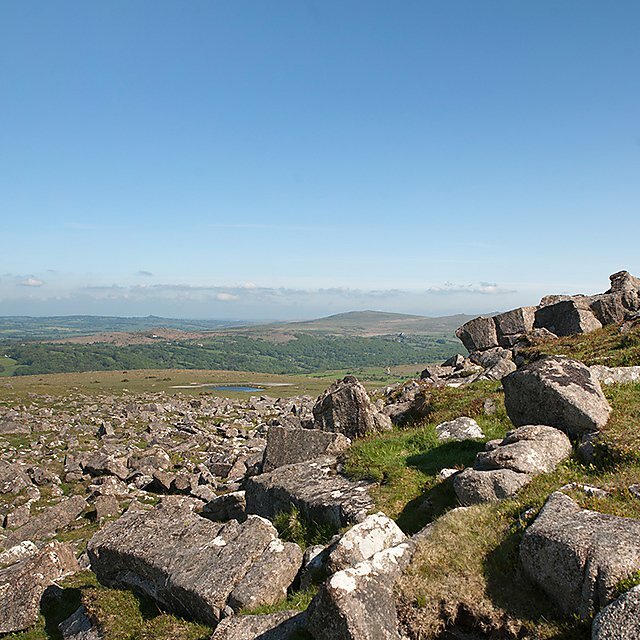 "Taking a year out from my studies to work for Natural England at the East Dartmoor National Nature Reserve completely changed my perspective. It gave me time to reflect on my future, and it allowed me to undertake extracurricular opportunities that ultimately made my university life productive and fulfilling. "I came back into environmental science with a motivated work ethic and a more mature outlook. My placement tutor became my dissertation tutor which made the final thesis much more enjoyable, as we had already built up a successful professional relationship." "Studying at Plymouth changed my career aspirations and plans through the mentors that supported me, and the modules that fleshed out my understanding of economics, ecology, biology, chemistry, food security, law, plus many more. "In my placement year I learned about soil – which if you ask most people, including environmental science students, is not the sexiest of topics. However, my perception changed. "I formed a deep interest in the subject, its importance in carbon sequestration to combat climate change, its life-giving qualities (it literally reassembles the dead into new lifeforms), all major nutrient cycles pass through it, it hosts the majority of terrestrial life (fungi, microbes, worms, viruses etc. ), it filters pollutants and directly impacts water quality, I could go on. "We must produce 70 per cent more food if we are to feed the 9 billion predicted in 2050, however its health is already degraded in the light of agricultural intensification. In other words Plymouth has helped me to find my passion which in turn helped me to secure a PhD." "After completing my undergrad I secured a PhD in Soil Science at Rothamsted Research, so I’ve only had a few months of post-degree freedom, which I used to visit my partner in Canada. My time now currently revolves around my doctoral training program (STARs), and the never-ending cycle of reading that comes with being a fresh-faced PhD student. "I’m really looking forward to inspiring all types of audiences with unusual demonstrations and hopefully rousing talks. "I’ve already been given the chance to comment on reports that inform policy, and I would love contribute more to the political sphere. "The best part of being a PhD student is your independence and time flexibility. It allows for blue-sky thinking, and it actively encourages a better understanding of the world around you." "I would have told myself (just like my siblings told me) to make the most of the extracurricular opportunities, like internships, societies, one off events, course jobs (e.g. PALS) and field trips. "You don’t get those kinds of opportunities post university. Also, don’t be afraid to approach your Students' Union, university or lecturers if you want to try something novel – you could end up doing something amazing and unique. "Secondly, pace your assignments. If you master this then life becomes so much more enjoyable, and you’re more likely to come out with a better degree at the end of it all. I only managed this in my final year, and I regret not doing it for my previous years." "I’ve changed a lot throughout my undergrad, both personally and professionally so the list of things I'd do differently is long. I approach work differently, I now chip away at tasks, rather than leaving them until I’m motivated by the impending deadline. Thus, my work quality is much better." "I used the Peer-Assisted Learning Scheme (PALS) in my first year – I found it so useful that I actually became a PALS leader, the Centre for Sustainable Futures (CSF), and the Writing Café – I also became a tutor there. "I have so many memories studying at Plymouth, from my times as a PALS leader, to representing UPSU at Paris for COY11, to being a panellist at Plymouth’s Environment Question Time, to helping students at the Writing Café. There is however a particularly fond memory, and that was the evening that I knew I had a first. I could relax and reminisce with a friend – it was moving to reflect on the whole experience. "The staff at the Writing Café were so amenable and lovely that I still miss working there. My biggest enabler was Dr Paul Warwick at CSF. He gave me support, respect and he personally helped me to expand my compassion and patience for others."